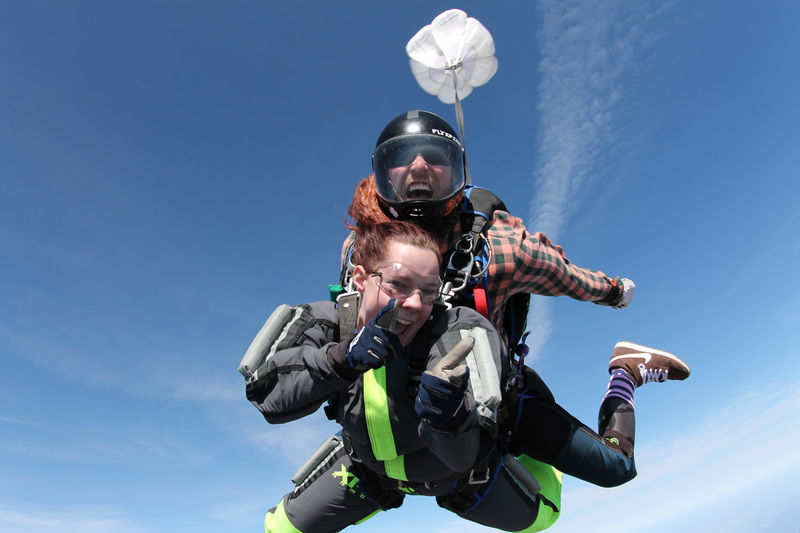 You only make your first skydive once – make sure you have the proof! 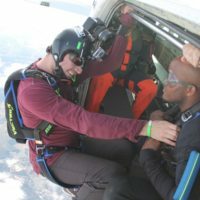 Keep the memory of your first skydive alive and share your amazing adventure with your friends, family, and social network by adding a media package to your tandem skydive. 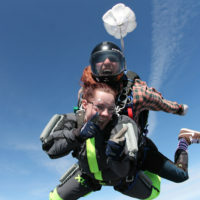 Our media packages include high-quality digital video and photos of your entire tandem skydive. Your skydiving photos and video will be downloaded to a USB memory stick so you can quickly and easily upload and share your incredible experience with the entire world! We’ll team you up with one of our professional videographers who will accompany you throughout your entire experience and capture each thrilling moment. 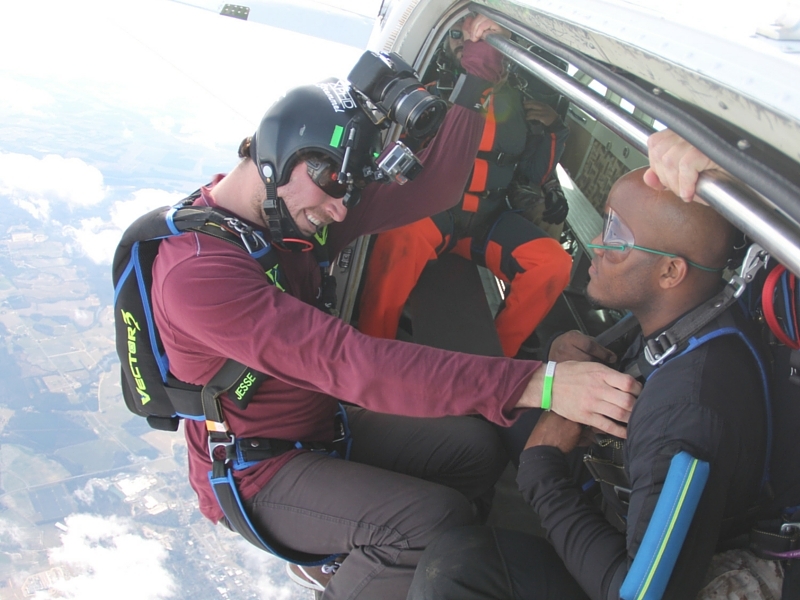 From getting geared up with your instructor, to boarding the plane, to freefall, to landing, your personal videographer will capture every part of your experience in a documentary starring you! This is one video you will watch over and over again. 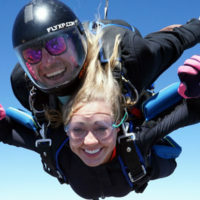 To make the most of your moment in our dazzling blue skies, read our best tips on how to look good in a skydiving video. Looking great in a skydiving video isn’t the impossible task that it seems. Here's how to look awesome popping ecstatically out a plane. 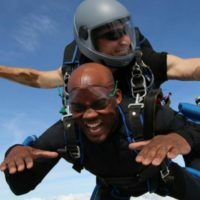 Tandem Skydiving: Tips For An Amazing Experience! 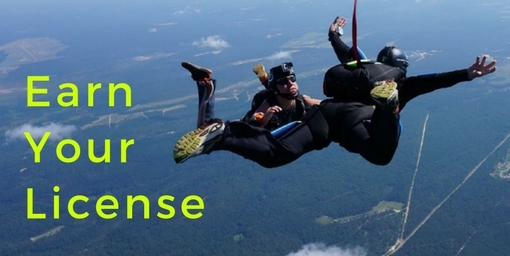 Read our brief guide for tips on what to expect your first time tandem skydiving. 3 Reasons You Shouldn't Go Skydiving! It’s a totally valid question! There are exceptions to everything, after all. The staff is incredible and I couldn't have asked for a better experience. The drop zone gives you a breathtaking view and I will most definitely be back as soon as possible!